Smoothies for Kids, ISBN: 9783848009978 - available from Nationwide Book Distributors Ltd NZ. Your children will love fruits and vegetables thanks to colorful and delicious smoothies for kids. 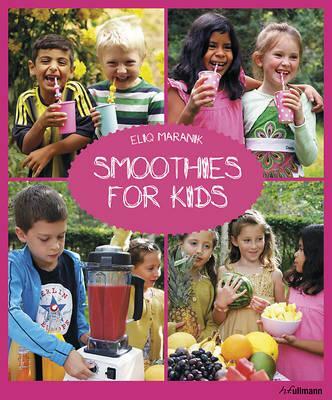 Together with thirty boys and girls aged six to thirteen, smoothie expert Eliq Maranik has developed 39 simple and healthy smoothie recipes that every child will love. The ingredients range from fruits, vegetables, nuts, and seeds to superfoods and dairy products. Exciting facts about the ingredients and little experiments turn each recipe into an experience for the whole family, while practical tips help your children to create their very own smoothie. Interesting background information and a child-oriented fruit-ABC with pictures of each ingredient round off this gorgeous smoothie book.